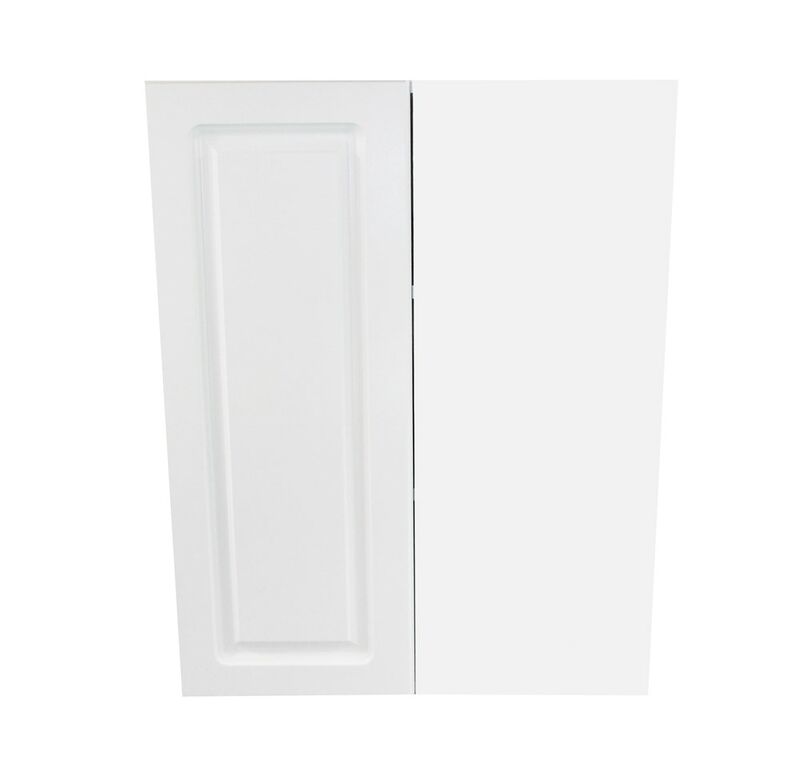 30" bind corner wall cabinet comes complete with soft closing hinges. This cabinet is perfect for tight spaces while providing maximum use of all space. Cabinet is constructed using 5/8" furniture grade melamine and steel cam and dowels for sturdy, easy assembly. This cabinet must be pulled a minimum of 2 inches from the adjasent corner. Raised Panel white Thermofoil doors and drawer fronts.